What 3D movies, 3D Blu-rays and 3DS games release in the month of September? This month is kinda confusing. We tried to present the information in a clear concise fashion but it might be perplexing because US and UK releases are intermixed. Usually these monthly updates are fairly straightforward but not this month. This month is a hot mess of 3D Releases. * The US 3D release is no longer happening The UK 3D Release is potentially axed too but at the time of this publication the 3D version is still scheduled for release. Proceeding “The House with a Clock in Its Walls” screenings. Michael Jackson’s estate and IMAX are partnering to digitally remaster “Michael Jackson’s Thriller 3D” into IMAX 3D. Purchase the digital version of the YO-KAI WATCH BLASTERS: Red Cat Corps game and receive a code that gives you a chance to battle and befriend Maginyan. Take down enemy Yo-kai and Big Bosses using skills and Soultimate Moves with up to 3 other friends*. As you tackle missions, befriend new Yo-kai to amplify your team's awesomeness. Train with Sgt. Burly to become the strongest Blasters team there is! As you complete missions, gather Oni Orbs and items to level up or forge equipment to power up your team. Some missions, bosses, and Yo-kai are exclusive to each version. Trade Yo-kai between versions to collect them all! You can befriend all friend Yo-kai from all versions of the YO-KAI WATCH 2 game, boss Yo-kai, plus the all-new Usapyon, Blizzie, and more. Link save data with a version of YO-KAI WATCH 2 to befriend special Yo-kai. Uncover new sides to the story as well as new Yo-kai, bosses, and missions with a post-launch software update! Unlock the two new Oni Crank-a-kai and Lucky Crank-a-kai for even more chances to get hard-to-find Yo-kai or items. QR Code® patterns and Passwords will offer you in-game coins that you can use on the Crank-a-kai. An unprecedented cinematic journey ten years in the making and spanning the entire, Marvel Cinematic Universe, Marvel Studios “Avengers: Infinity War” brings to screen the ultimate, deadliest showdown of all time. The Avengers and their super hero allies must be willing to sacrifice all in an attempt to defeat the powerful Thanos before his blitz of devastation and ruin puts an end to the universe. Found Footage 3D tells the story of a group of filmmakers who set out to make “the first 3D found-footage horror film”, but find themselves in a found-footage horror film when the evil entity from their movie escapes into their behind-the-scenes footage. In the same way that Scream deconstructed the slasher sub-genre back in the 90’s, FF3D takes a found-footage horror movie and populates it with people who are aware of all of the rules, tricks, and clichés of the genre. At times clever and funny, at times poignant, at times terrifying, the film creates a rich world filled with memorable characters fighting for their lives against ultimate evil. As the first found footage movie shot natively in 3D, FF3D pushes the boundaries of the medium and creates something truly unique. It does things that no found footage movie or 3D movie has ever been able to do before. I apologize if I missed any releases, all release dates are subject to change at any time. The 3DS may have more exclusive e-shop games released within the month that are not known at this time. 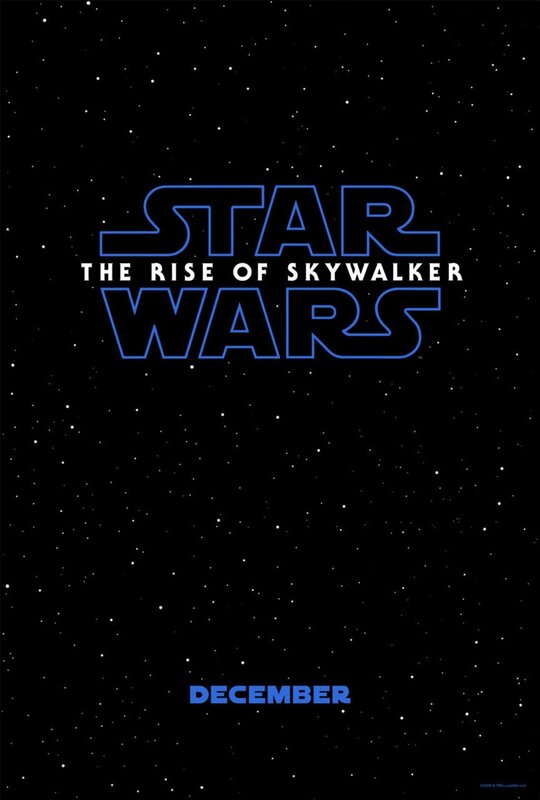 The newest Star Wars movie is now out . 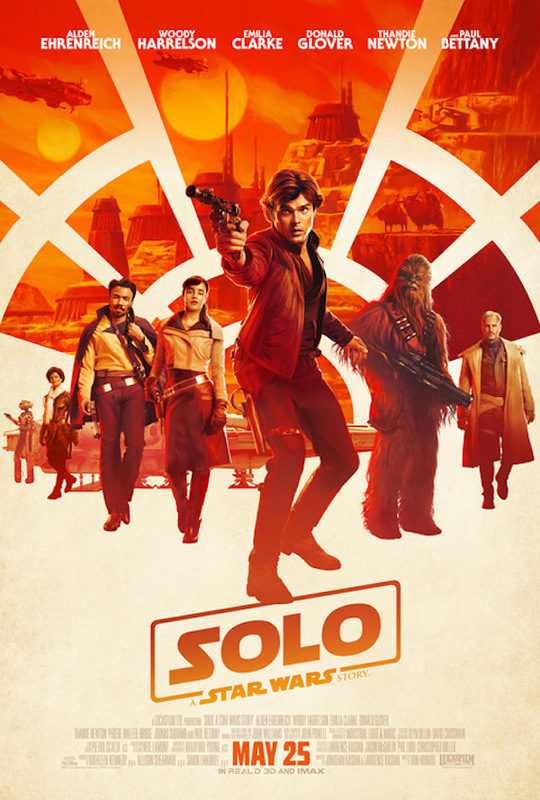 This time Han Solo gets his own adventure in "Solo a Star Wars Story" . So how is it ? TM & © Lucasfilm Ltd. All Rights Reserved / ©Disney. All Rights Reserved. What 3D Movies, 3DS Games and 3D Blu-Ray movies are coming in May of 2018? Well we have a solo 3d movie, and a pair of 3DS games and not a single 3D Blu-Ray. Scroll down to see it all. Watch the video version of this article below via Youtube. A spatial distortion full of demons appeared in Antarctica, threatening to engulf the Earth in Shin Megami Tensei: Strange Journey . The United Nations responded by tasking a team of highly advanced specialists with piercing the anomaly and figuring out how to stop it from the source. Well, get ready to don your Demonica once again in this new expanded port: Shin Megami Tensei: Strange Journey Redux . Expect new story content, additional endings, a new dungeon to explore, and more in the return of this sci-fi tinged SMT adventure. As a team, defend a post-apocalyptic wild west from an invasion of transforming rock monsters alongside your Mii™ character, Dillon the armadillo, and his squirrel engineer, Russ. Recruit hired gunners to back you up in battle, and then roll into fights and high-speed chases and take down waves of enemies as Dillon—the "Red Flash" himself! Eighty years ago, a cataclysmic event devastated the world. Holed up in "The City" and outlying frontier towns, no survivor is safe now that a mysterious ship has unleashed an army of supercharged monsters. So, prepare for battle: gather resources by helping local businesses and winning races. Then stock up, man the towers, and strengthen barricades to protect each village's livestock! Discover new strategies to take out over 30 different types of enemies: some swim, some dig, some are electrified, poisonous, armored—even flying. Monsters transform into wheeled forms, racing into action-packed, high-speed chases! I apologize if I missed any releases, all Game and/or Movie release dates are subject to change at any time and represent releases to US/North America 🇺🇸 ONLY. The 3DS may have more exclusive e-shop games released within the month that are not known at this time. 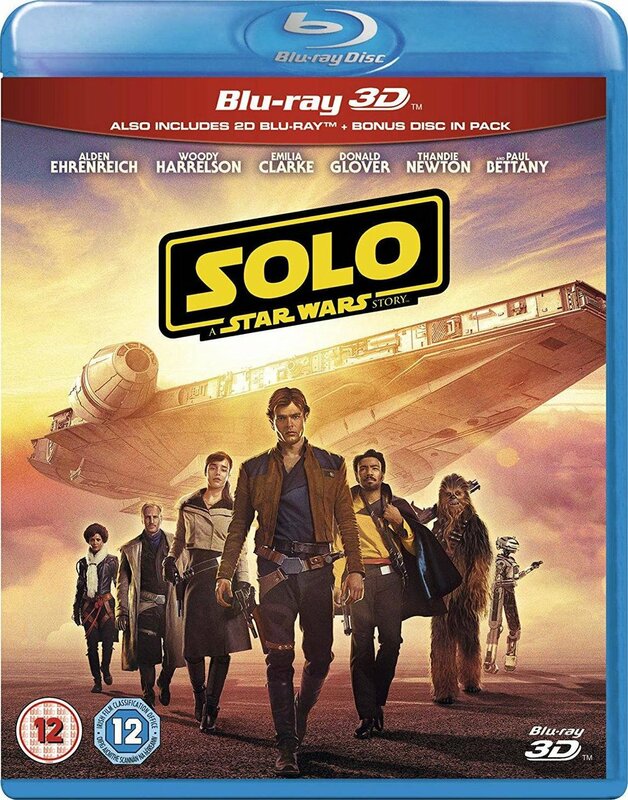 “Solo: A Star Wars Saga” releases in 3D and 2D May 25th 2018.